The Everything DiSC® is the 3rd generation of the DiSC report published by Wiley’s Workplace Learning Solutions. What makes Everything DiSC different from the previous version to DiSC Classic? 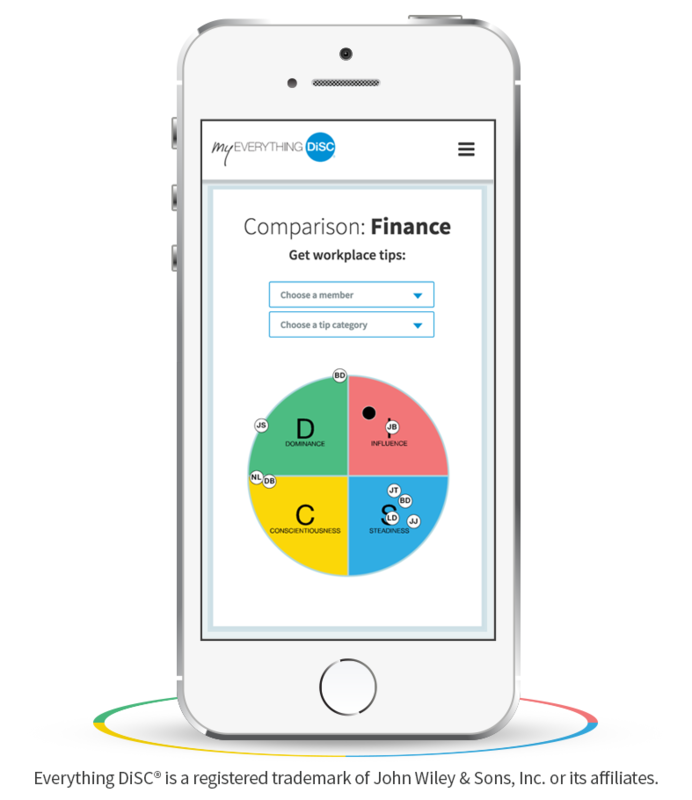 Everything DiSC provides the most accurate and user-friendly version of the DiSC assessment. Furthermore, each Everything DiSC profile comes with free access to MyEverythingDiSC.com. MyEverythingDisc is an online learning platform designed to keep you learning about your own style and your peers styles. Users on this site are able to share their styles directly through both email and through the platform. While understanding our own DiSC style is important, the true value of DiSC comes from sharing our style with others, and from learning the styles of people we engage with on a regular basis. This deeper understanding allows us to adapt to other’s needs and preferences, and it allows them to gain a better idea of why we operate the way we do. How do we continue this important discussion of the differences between ourselves and others following a training program or offsite? If you’ve chosen EverythingDiSC, it’s easy! Simply log into your MyEverythingDiSC account to view your report, compare your style to others, gain tips for working with the members of your team, and continue to learn more about DiSC (and yourself!). If you’ve purchased an Everything DiSC instant access code with instant results from our website, congratulations! You already have access to this account. Watch the following short videos to discover everything you get when you use MyEverythingDiSC. Download the following document to learn how to set up your account, and what comes with it: MyED Account Guide. How will you keep your DiSC learners engaged? Call us for tips on using MyEverythingDiSC or questions related to setting up your account, or giving your participants access from your EPIC account (EPIC administrators only). (847) 259-0005. Want DiSC tips on the go? Check Out: How to add a quick link on your Android or iPhone. As a reminder, all Everything DiSC instant access codes with instant results purchased from this website come with access to this tool. View a sample comparison report. Each Everything DiSC profile (Sales, Workplace, Management, Productive Conflict, etc.) comes with the ability to create free 1-to-1 comparison reports with others who have accepted your invitation on MyEverythingDiSC.com. Invite your friends and coworkers to compare after they’ve set up their MyEverythingDiSC accounts and download the comparison report as soon as they accept your invitation. Watch below to learn more.